Download Guard ‘n Spray Safety Data Sheet. Shake well before using. Add 15-30 mL per gallon of water. The 8oz concentrate makes about 8 gallons of Guard 'n Spray. Guard 'n Spray is safe to use during the day and under mild lighting conditions. Exercise caution when spraying during periods of intense sunlight or heat over 90 degrees. Spray directly on visible pests and all parts of the plant including the undersides of leaves and all node points. Guard 'n Spray can be used as a preventative or a reactionary pest control. Guard 'n Spray can be used in foggers and atomizing systems as well as traditional sprayers. Use Guard 'n Spray once or more per day depending on the level of infestation. When spraying, be sure to always wear protective outerwear, such as gloves and masks. Guard 'n Spray is safe to use during vegetative growth stages. Guard 'n Spray should not be used during mid to late flowering, but can be used in early flowering stages, provided internodal spacing is greater than 1-2 inches. Guard 'n Spray is a highly concentrated formula, and can be easily integrated into large-scale systems. As an aqueous suspension, Guard 'n Spray is suitable for use in all aerosol generator delivery systems. Guard 'n Spray contains botanical oils which plant pests are attracted to and will consume. Upon consumption, plant pests cease to digest needed proteins causing them to starve. 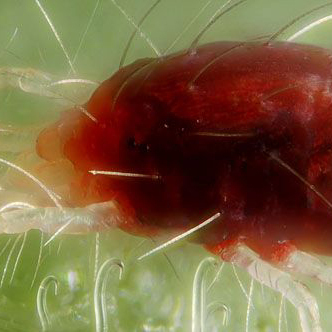 Additionally the active ingredients stick to and clog plant pests' spiracles or breathing tubes, suffocating the plant pests. 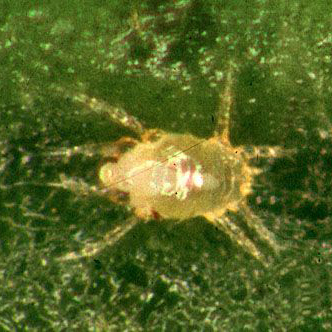 As the plant pest is starving and suffocating, Guard 'n Spray's other active ingredients are simultaneously drying out the plant pest's exoskeleton. When treating and controlling plant pests in the larvae stage Guard 'n Spray should be diluted and drenched (watered) into the soil or growing media where the larvae live. The natural active ingredients in Guard 'n Spray treat and control fungi by stopping their ability to reproduce. This makes Guard 'n Spray ideal for treating and controlling powdery and downy mildews. When applied, the active ingredients in Guard 'n Spray dry out the reproductive portions of the fungi; this is imperative since these fungi live inside the plant tissues and can only be seen when they break through the plant's skin to reproduce. Upon application Guard 'n Spray stops the fungi's initial start of germinating on the plant's skin. It is important to foliar spray Guard 'n Spray before the fungi have a chance to contaminate plants. If a fungus is visible to the naked eye, dilute Guard 'n Spray as recommended and spray directly on the fungus. Rhizoflora, Inc. All rights reserved © 2018.